The iXon Ultra 897 platform overclocks readout to 17 MHz whilst maintaining single photon sensitivity and quantitative stability throughout. New Optically Centred Crop Mode unlocks unparalleled frame rate performance from centrally located ROIs, ideal for the particular speed and sensitivity requirements of super-resolution microscopy. 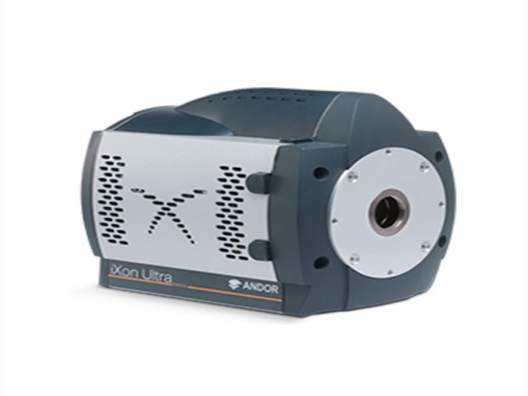 The iXon Ultra maintains all the advanced performance attributes that have defined the industry-leading iXon range, such as deep vacuum cooling to -100°C,, extremely low spurious noise, and Andor’s patented EM gain re-calibration technology (EMCA™). Count Convert functionality allows real time data acquisition in units of electrons or incident photons and OptAcquire facilitates one-click optimization of this versatile camera to a variety of application conditions. 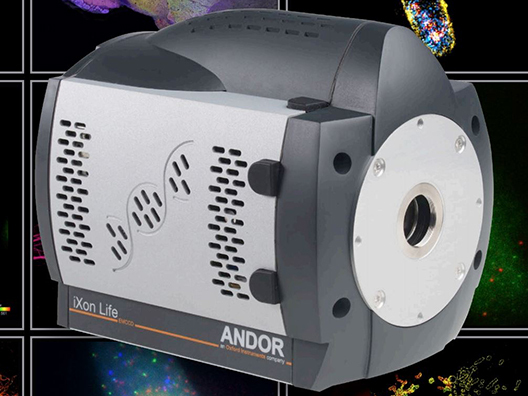 Andor’s iXon3 860 back-illuminated EMCCD is designed for very rapid imaging of low light events. The iXon3 860 benefits from an advanced set of user–requested features, including OptAcquire, Count Convert, Spurious Noise Filters & Signal Averaging. RealGain provides quantitative EM gain calibration. Sub-millisecond biology is readily accessible through use of sub-array selection, pixel binning and Cropped Sensor Mode pushes frame rates to new extremes. 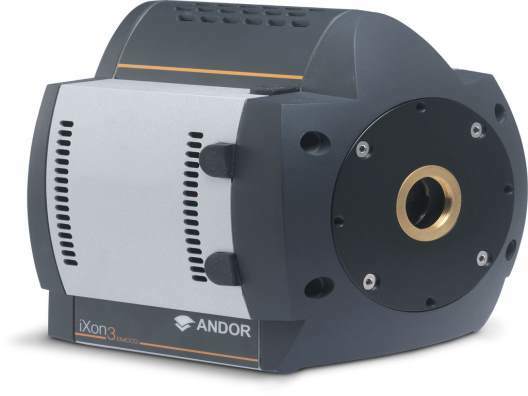 The speed and sensitivity of the iXon3 860 also renders it ideal for adaptive optics. 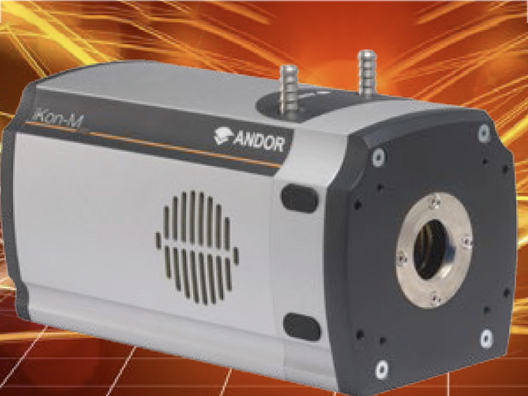 Andor’s iXon3 860 back-illuminated EMCCD is designed for very rapid imaging of low light events, combining > 500 frames/sec with single photon detection capability and > 90% Quantum Efficiency. Thermoelectric cooling down to -100°C minimizes EM-amplified darkcurrent, whereas Andor’s ‘overclocked’ vertical shift speeds minimize both clock induced charge noise and vertical smear during frame transfer.